Truth be told: I’m obsessed with food blogs. I love to eat. I love to cook. 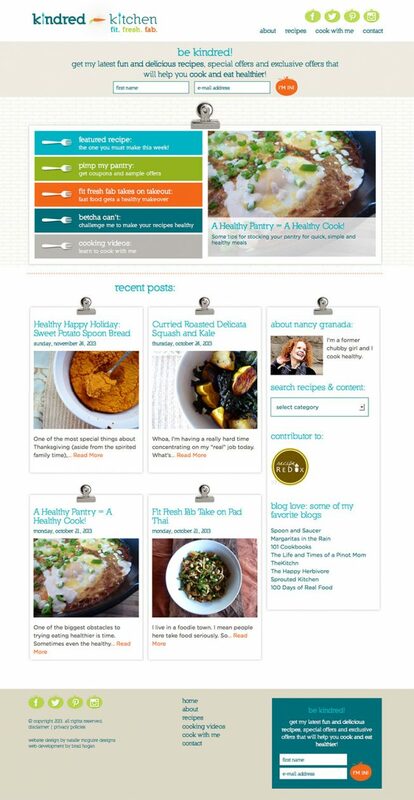 So, when Nancy Granada from Kindred-Kitchen contacted me to re-design her food blog, I nearly choked on my garden vegetable enchiladas. 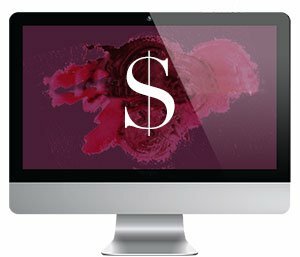 For this project, Nancy wanted to expand the blog to a proper website (with re-vamped branding!) that incorporated more healthy eating and living content, as well as multimedia (video and podcasts.) But first, we needed to hop on a logo design to set the stage for her branding. The logo uses two forks, doubling as “i’s” to symbolize two kindred spirits. 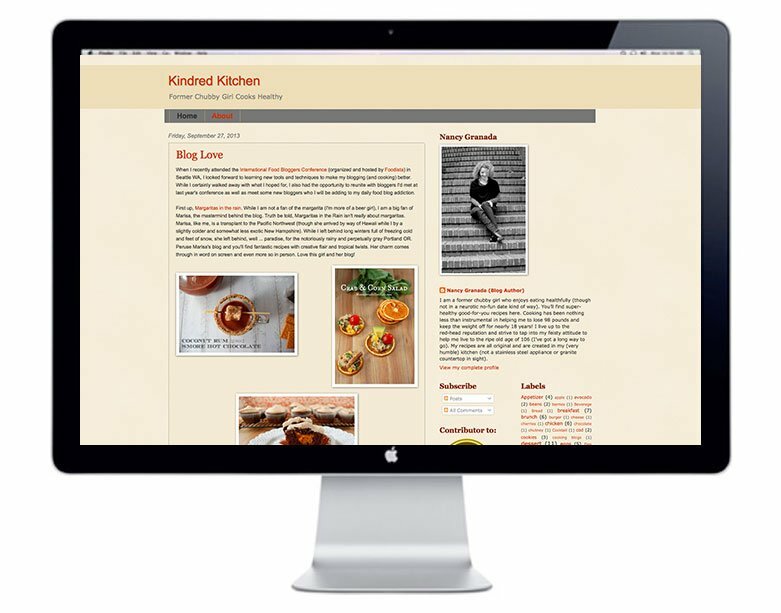 The typography has “kindred” in a bold font and “kitchen” in a lighter weight to signify the transformative possibilities found in the recipes and blog. The carrot doubles as a hyphen, reminding viewers that there’s also a hyphen in the URL for the website. The colors are a mix of bold, fresh and vibrant teals, oranges, and lime greens, matching the high-energy of Nancy’s writing style and the deliciousness of her recipes. Next, we then moved on to Mood Boards, establishing the new design standards her materials would take on. “The biggest change I’ve seen since working with Natalie is the new perspective it has given me on what my cooking blog/website can be. Prior to working with Natalie, I had created by blog on a whim and with little-to-no vision for what I wanted it to be. After three years of working within the constraints of my previous design, I decided that it was time to explore what it could become. Overall, I stuck with the color scheme and fonts from the logo, using a beige kitchen tile pattern to add emphasis where necessary on key conversion areas (the e-mail sign up list and tagline explanation.) Kitchen refrigerator magnets and tomato social networking illustrations help to keep the tone of the site fun, relateable and most of all, judgment-free.